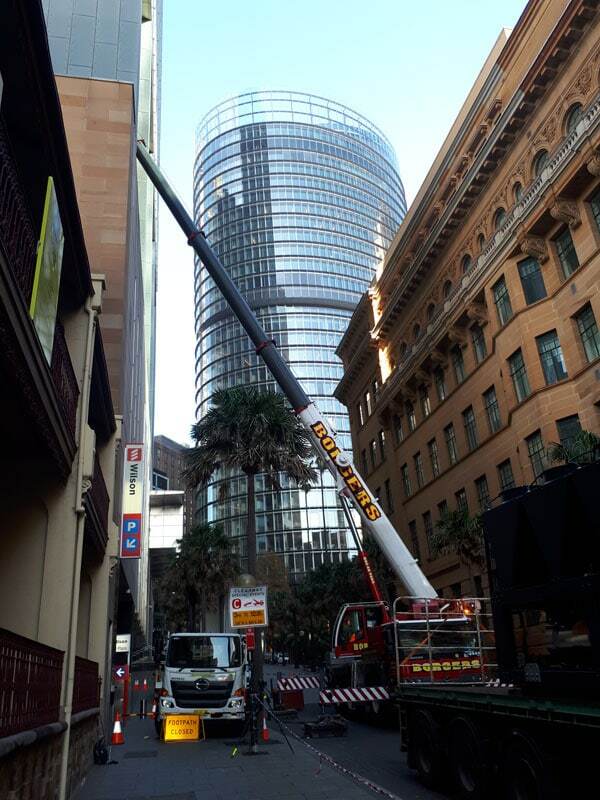 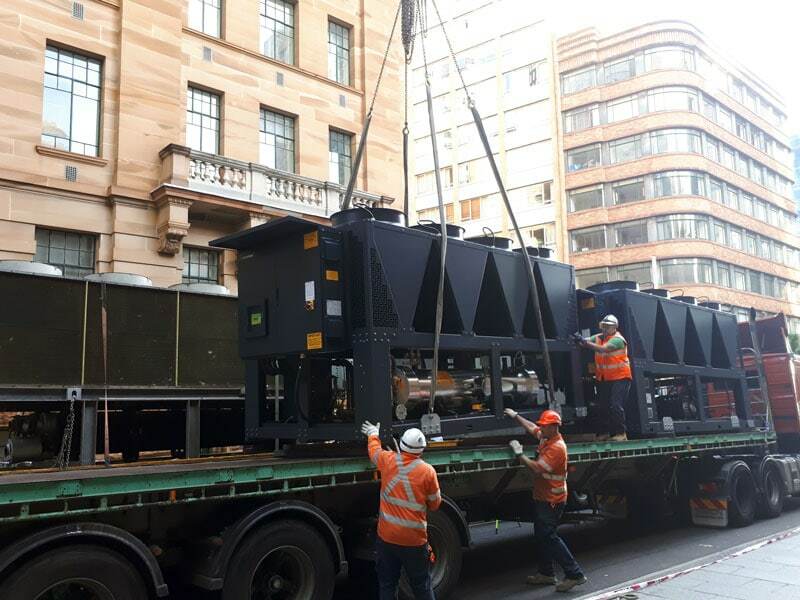 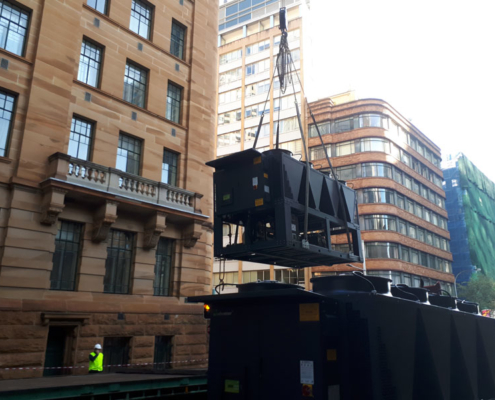 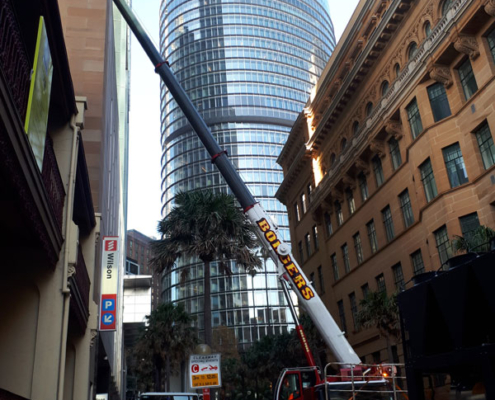 Geoclima Australasia worked closely with Australian installer Dewpoint on the replacement of chillers at the Museum of Sydney. 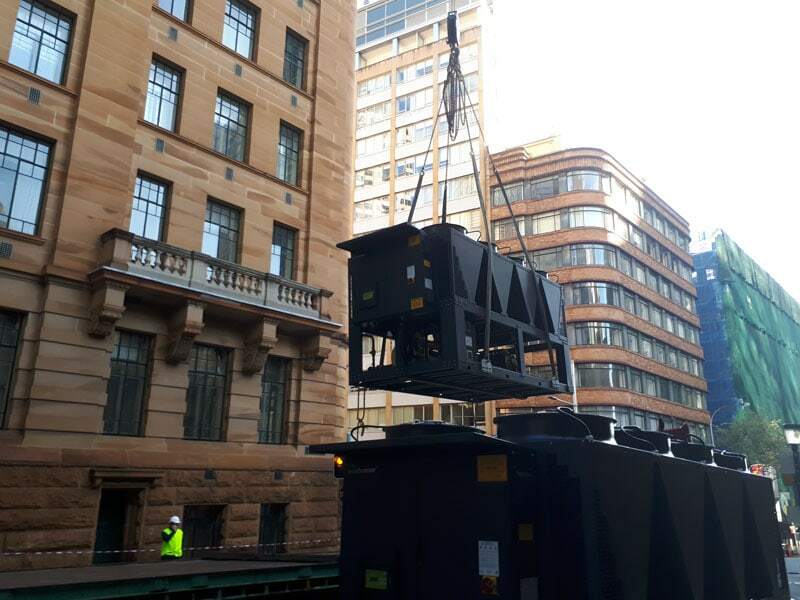 The project involved the replacement of the Smardt units installed in 2005. 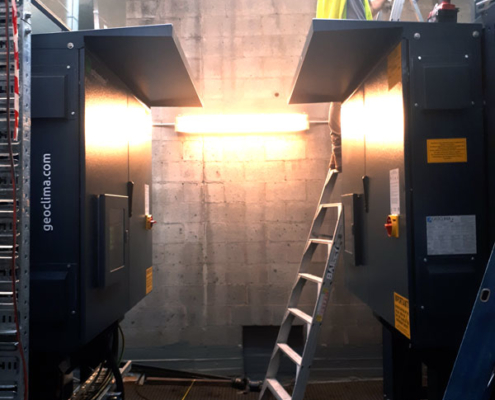 The project required special attention during the installation phase as maximum 1 day of downtime was possible. For the Museum of Sydney Geoclima designed, manufactured and installed two air cooled Turbomiser chillers. 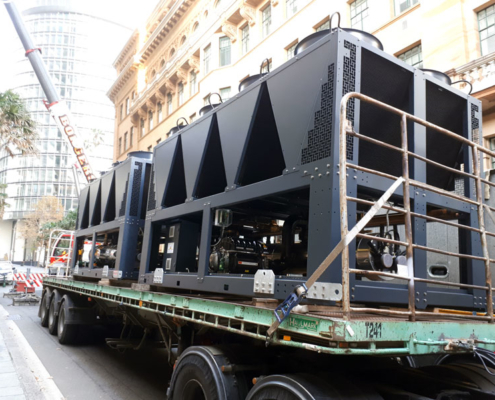 Units were produced by Geoclima Asia, in Thailand: this made it possible to shorten the lead times and assist with the testing of chillers. 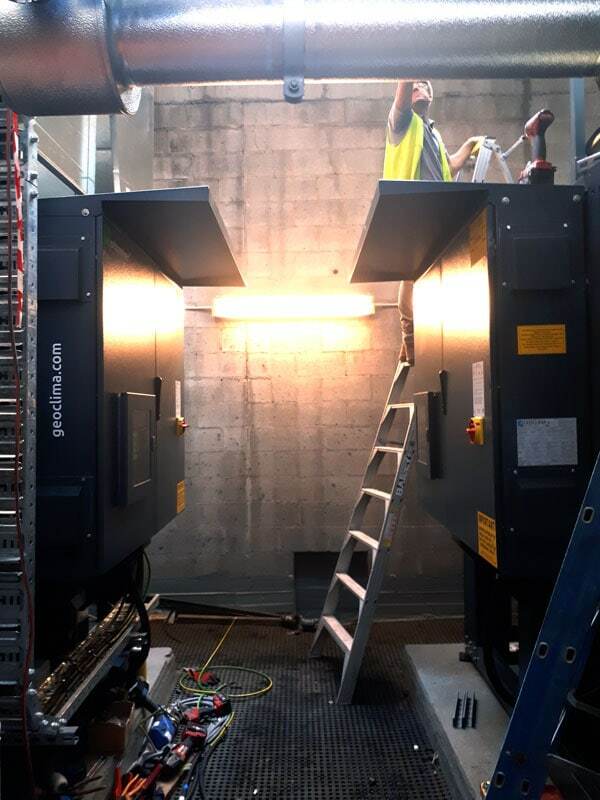 The replacement works started at 5 am on Saturday, with the existing units being disconnected and lifted out, and then the new Turbomiser units were lifted in, installed and connected, commissioned and fully operating by 7 pm on the same day. 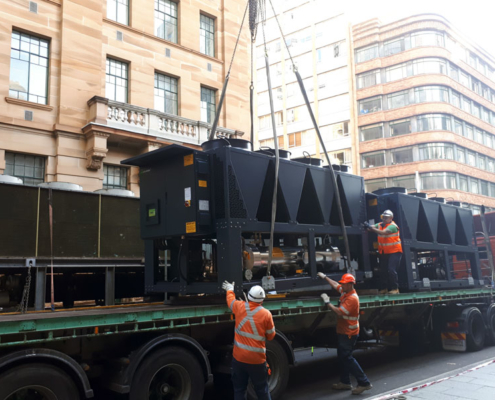 It was a 14-hour work during which many different trades worked at the same time in the same 4 sqm area to complete the electrical, hydraulic, welding and lifting operations within the established time frame.